The M25M family comprises compact, cost-efficient and extremely powerful allround cameras featuring 5MP sensor technology and a vast choice of lenses including hemispheric models. Fully equipped with IP66-certified housing and long-term internal storage on a MicroSD card. Mobotix M25M cameras are suitable for use in large-scale facilities, such as airports, given their unlimited scalability and high performance. However, they are equally suitable for use in small commercial or private buildings thanks to their integrated event, storage, alarm and telephony functions. 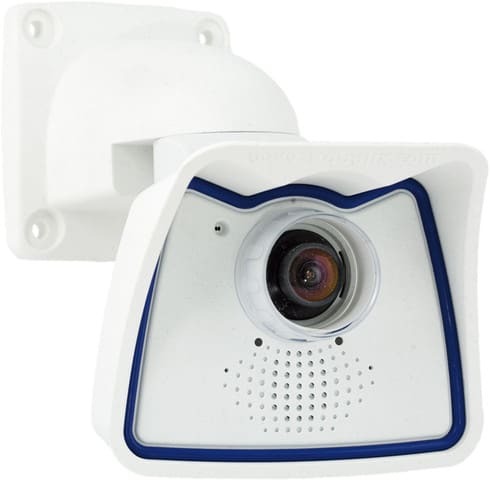 In addition, Mobotix recommends the M25M with hemispheric L12 lens as a superb and inspiring webcam.